Now, you may not be dreaming of an antler- or deer-themed wedding, but bear with us for a second. We're seeing a lot of rustic celebrations incorporating this motif — think: custom monograms with antlers, wood boutonnieres shaped like a stag, doe and buck cake toppers. If you can easily round up a few antique antlers, you can feature them in your reception décor (they add an unexpected sculptural element to your tablescape! ), but of course, you don't have to use real ones — faux antlers are a great alternative. Not convinced? 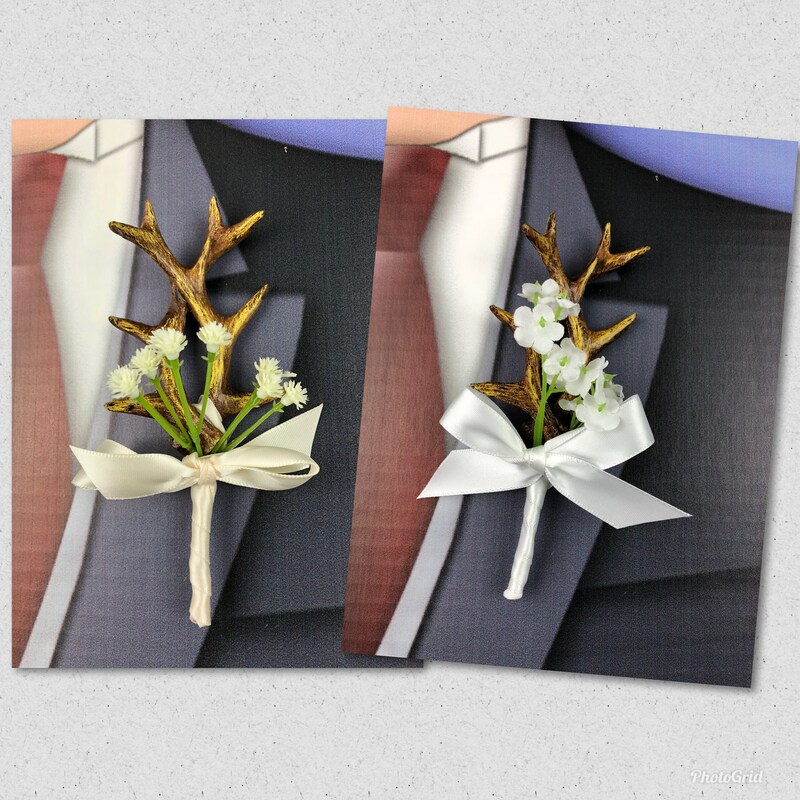 Check out these antler boutonnieres that are perfect for a fall wedding in the woods. 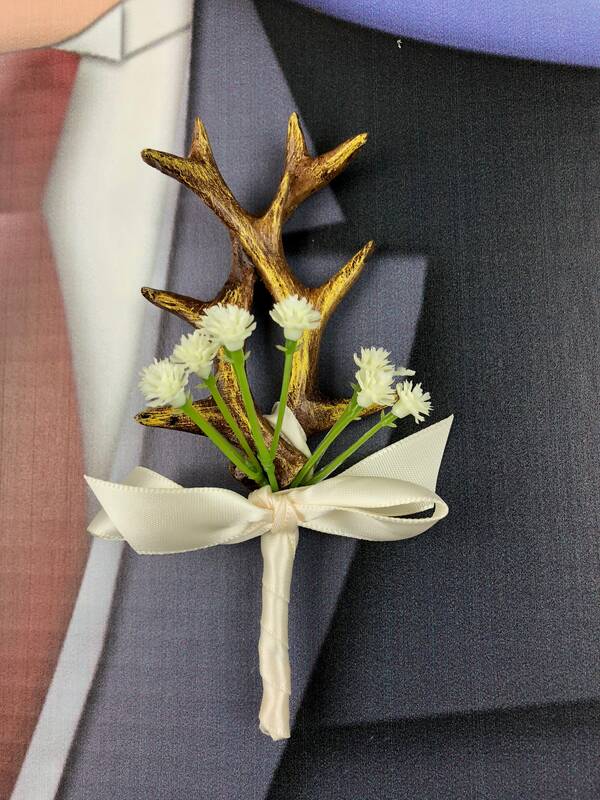 This listing is for 1 Artificial Antler Boutonniere with a sprig of Baby's Breath. 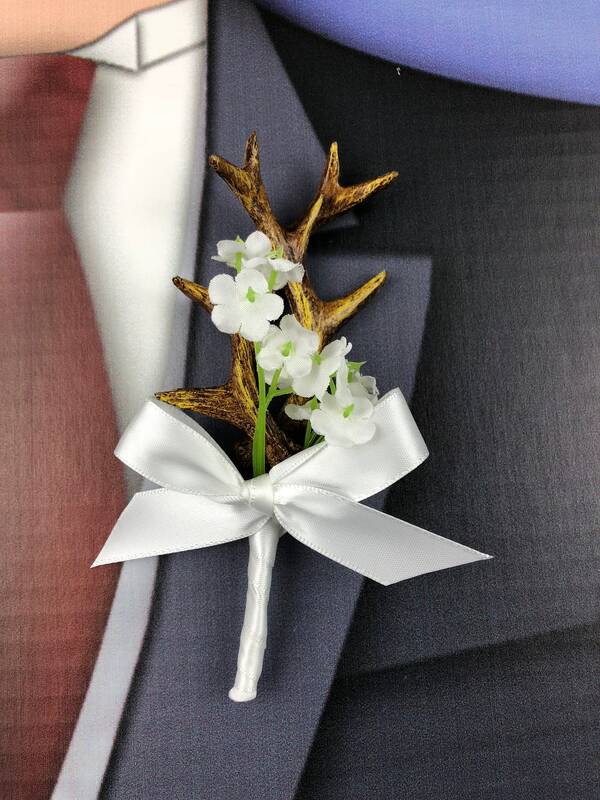 Resin Deer Antlers 4"H X 3"W X 2"D with White or Ivory Satin Ribbon. 30 COLORS AVAILABLE. VISIT MY STORE FOR FULL SELECTION.